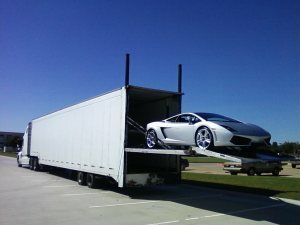 Patriot Auto Carriers, LLC is the industry leader for auto transport services. We can guarantee you the best rates that will fit your budget. At Patriot Auto Carriers, LLC we believe in honesty, rapid response, and exceptional customer service. We are a business that prides itself on building customer relationships. Our professional transport specialists will answer all of your questions and inform you on changes as they happen. A large part of our business is from referrals and repeat customers. So if you’re looking for a safe, affordable and reliable way to transport your auto, boat or trailer you have come to the right place! If honesty and customer satisfaction are important to you, look no more! We will not do false advertising or make claims that are untrue to mislead any potential customer. When you ask for a quote, it is handled by one of our trained transport specialists, not a computer. We compare rates to make sure that our quote is the most competitive rate. 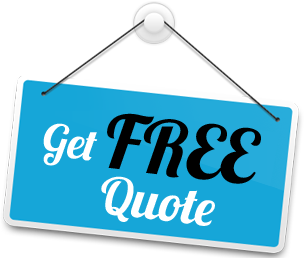 Once you submit a quote-form online, expect to be contacted by a specialist almost instantly. Over the past few years we have built a strong bond with the best carriers. We have access to the most trusted auto carries in the country. All of our carriers are licensed and properly insured. Many transport companies have long contracts and tie your hands with a deposit. If you prefer, you can pay your entire transport at delivery with no deposit. At Patriot Auto Carriers, LLC all transports are door to door. This means that the truck will come to you designated pickup location to obtain the vehicle and deliver the vehicle to your destination of choice. There is no extra charge for this service. It’s the safest, fastest, and most convenient way to ship a vehicle. No terminals, no worries, and no waiting. With Patriot Auto Carriers, LLC you have the option to ship your vehicle any way you want. Open transports are the most affordable way to ship your vehicle; however, they are not for every vehicle type. Open trailer transports can carry more vehicles, transport larger vehicles and they hold less insurance; therefore open carriers can charge less per vehicle. Fully enclosed trailers are commonly used for collector cars and show cars. Enclosed car carriers can’t carry as many vehicles but they offer more insurance. Enclosed trailers are less likely to have any damage caused by rocks or any flying objects. The enclosed transport usually costs about 50% more when compared to an open trailer. Your vehicle is safe with us. We are fully licensed, bonded and insured. We have everything we need to get the job done right. Our staff is available 24 hours a day so that you will always know where your vehicle is.